Hey, did you know that you can make your Mac computer talk for you? You can. It will read any digital text that you can highlight, including Word documents, PDFs, and internet text. Pretty cool feature. We often have student's use it to support their reading. Some students use it to read whole passages, others use it to sound out specific words. It's a digital voice, so it's not perfect, but they've gotten better with each passing year. 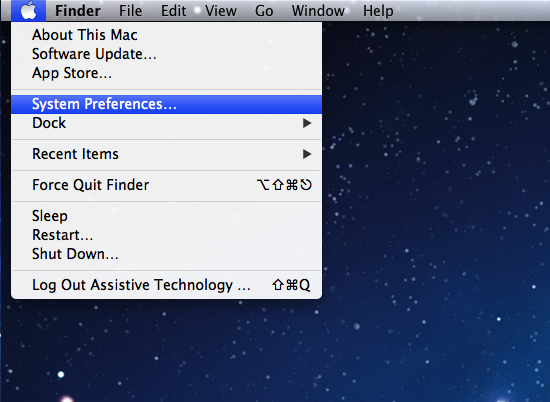 So, to do this trick, first click on the Apple in the top right corner of your screen. 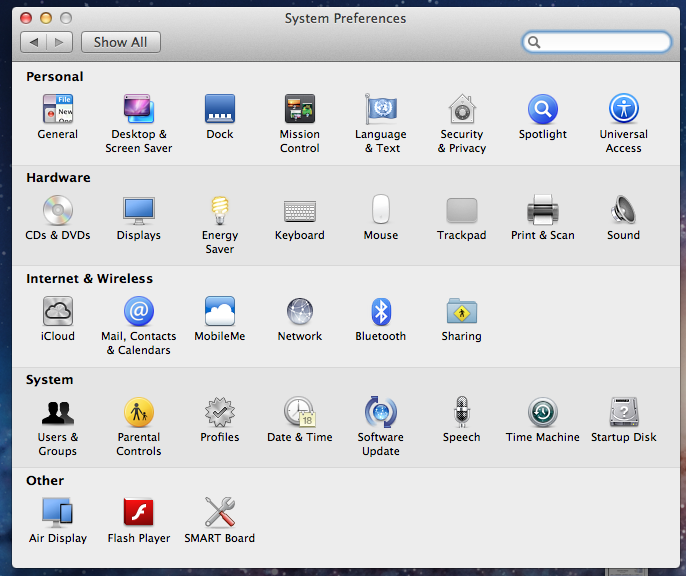 Then click on "System Preferences". Next, on the fourth row down, click on the "Speech" icon. 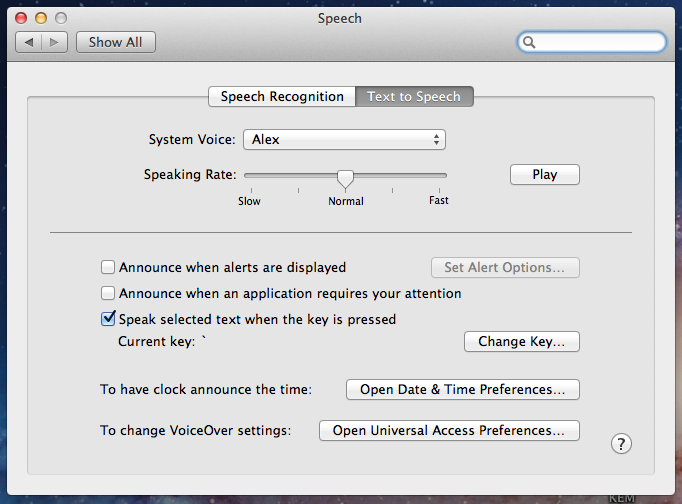 Click on the "Text to Speech" tab, and then select the "Speak selected text when the key is pressed" box. Clicking on "Change Key" allows you to choose the Initiator Key the student will use to begin reading. I use the tilda ( ` ) as it's a key that I almost never use. Now, if you highlight a word, sentence, or paragraph, and then press the key you press your Initiator Key, the computer will read your text. Pretty slick, huh? Last year a middle school IEP team approached me with an interesting conundrum. They were working with a student who was going through some difficulties. Let's call the student Joe. Joe was dealing with some significant medical issues and had to be homebound for a period of time. He was an accomplished student, and he did not want to miss out on his classes. Even with home instruction, he was concerned he'd miss out on too much. That's when the IEP team contacted the AT team. They asked, "how can we keep Joe involved in our classes"? The team had been exploring Skype with a few students at two of our high schools. They were working on social skills, with great success. Now we wondered if we could use Skype in a similar fashion. We created two gmail accounts, Student 1 and Teacher 1. Then using those accounts we created two Skype accounts by the same names. Next we assigned two mini-laptops to the project. One was for Joe to use at home, the other went on a cart, and was rolled from class to class by a Teacher-Assistant. For simplicities sake, the Teacher-Assistant initiated Skype in the morning, and then left it on for the duration of the three classes that Joe needed to participate in. The Teacher laptop was rolled to the front of the classroom and with the camera on, directed to the teacher and the whiteboard. Skype allowed Joe to follow along with the lectures and to ask questions of the teacher. One final addition was made. The teacher was provided with a Bluetooth earbud. This allowed her lecture to be amplified without getting too much ambient noise, and when Joe asked a question, she was able to hear it easily. In addition, it meant that she was not tied to a microphone cord, and could move about the front of the classroom. There were the expected technical issues periodically, but overall the experience was a success for Joe, and not too much of a burden for the teaching staff. 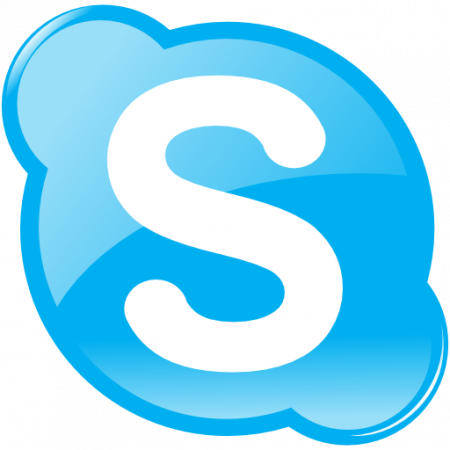 What interesting ways have you used Skype or Google Video? When I was a child, every Memorial Day, my mother would light a candle for her father, Marcel Duhamel. Marcel survived the Normandy Invasion. Quite a task for a young man from Manville, Rhode Island. The story I've heard is that a few days after the invasion Marcel was killed by sniper fire. 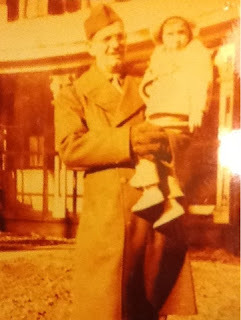 When my mom passed in 2006 I began lighting a candle in memory of my grandfather. Obviously, I never met the man, but he has had significant impact on my life. Like so many, he was a soldier who gave his life fighting for America. Memorial Day morning I will be lighting a candle first to honor his memory. I will share this story with my sons, as I do every year. I will be thinking of the men and women who have given their lives for our country. I will also be thinking of all the brave men and women who are serving in the forces both at home and afar. So here's a fun site. Voki.com. 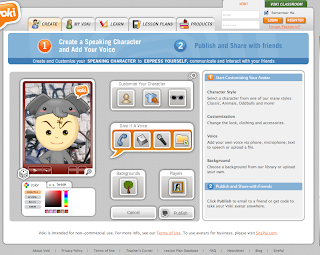 Voki is designed for education. 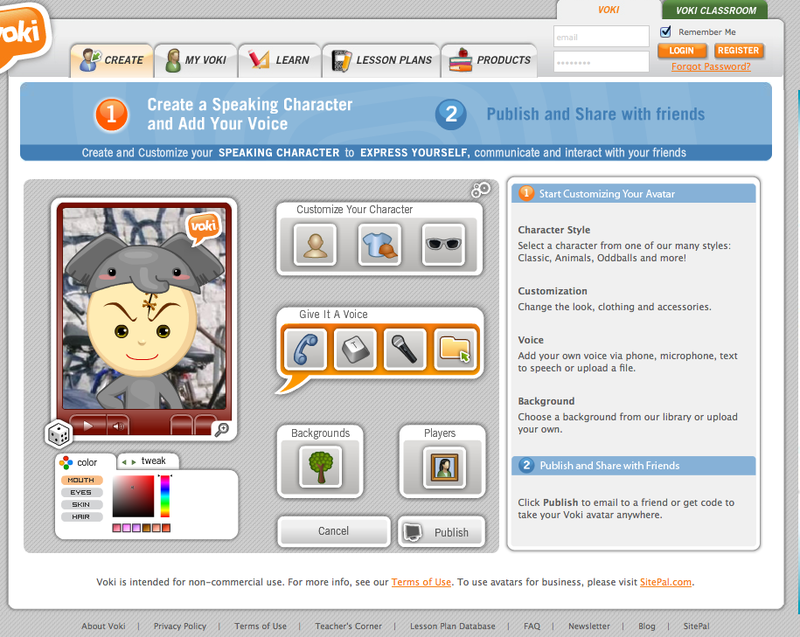 With Voki users can create one or more avatars. Mine purposefully kind of looks like me. Once the user creates his avatar, then he can type text which is spoken, or record his own voice. When finished the avatar appears to be speaking the words. Up to one minute of recording is possible. 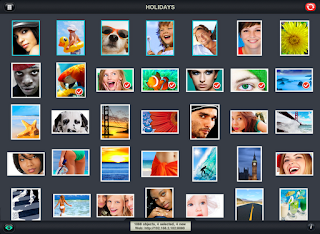 Voki was designed to "help make your student's homework and class work assignments educational and entertaining". As an Occupational Therapist, I like to use Voki to motivate a student to write. First we spend time making their avatar. This is generally a fun task. Much like when I use Toontastic (refer to App review), I have my students think about what their script will be, and then write it out. Our focus may be to use proper letter formation, sizing, spacing, orientation, etc. When they've done a satisfactory job, we record the script. When we are done we can save the end product, and email it to their teachers or parents. 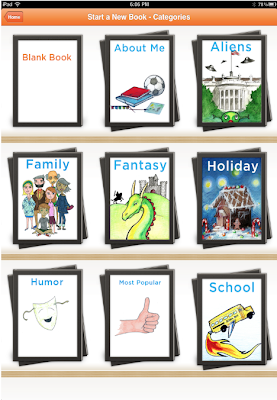 Voki could be a useful tool for making short Social Stories, or to act out social skills. 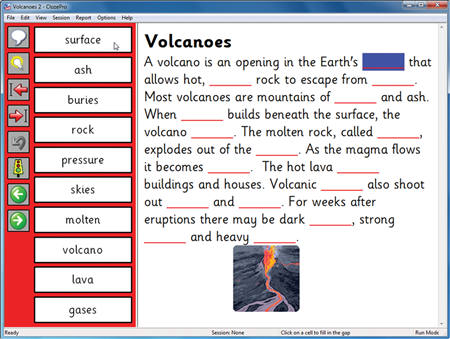 In addition, the website offers free lesson plans that can be sorted by subject as well as grade level. All of this is free to the user. There is a version called Voki Classroom which allows the teacher/therapist to create classroom accounts and manage student accounts. Voki Classroom is a subscription product, $29.95 for a year, or $44.95 for two years. Naturally, there are no ads in the Classroom site. Here is a very interesting case. We have a young woman who was enrolled in our school this year. Let's call her Poe. She is from Burma, and speaks very little English, however she does have some functional comprehension skills. Poe also has some physical issues which result in small stature, (she is approximately 4 feet tall), and because of short digits, she experiences some difficulty with fine motor tasks. Poe is preparing to graduate high school in a few weeks. Vocational Rehabilitation (VR) was called in to help place Poe into work, and to provide interventions to allow her success. Poe's job placement will be with a house and office cleaning agency. The immediate difficulty anticipated include communication with her supervisor, fellow staff, and even clients. Based on the recommendations of our wonderful local community-based Assistive Technology Program, Poe will be using an iPad. She is currently in a trial program using a few specific apps, including Visual Impact Pro, iBurmese, and So Much 2 Say. Visual Impact Pro (VIP) is a nifty app from the makers of Task Builder, one of my favorite pieces of computer software. VIP will let us create multimedia task instructional sequences, and visual modeling vignettes for the cleaning tasks Poe will be responsible for. Think - Power Point presentation for your iPad, with text and video for each page. The best part, is you can make your video right on the iPad. The hope/expectation is that between the verbal directions, and the visual modeling, Poe will be able to comprehend what is needed of her in each task, despite the language barrier. iBurmese is an app that proved to be more fun then any of us expected. Poe quickly begin navigating the app independently and teaching us Burmese (though we were poor students). 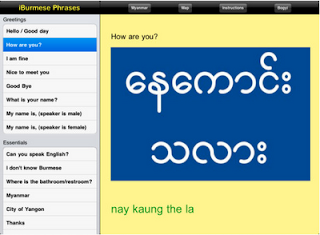 iBurmese is the first ever app for iPhone, iPod Touch, and iPad providing common useful Burmese (Myanmar) language phrases, both spoken and in Burmese language script. The purpose of this app is to provide Poe and her colleagues with a simple way to communicate. We recognize that it may have some practical limitations, but it should be a decent place to start. 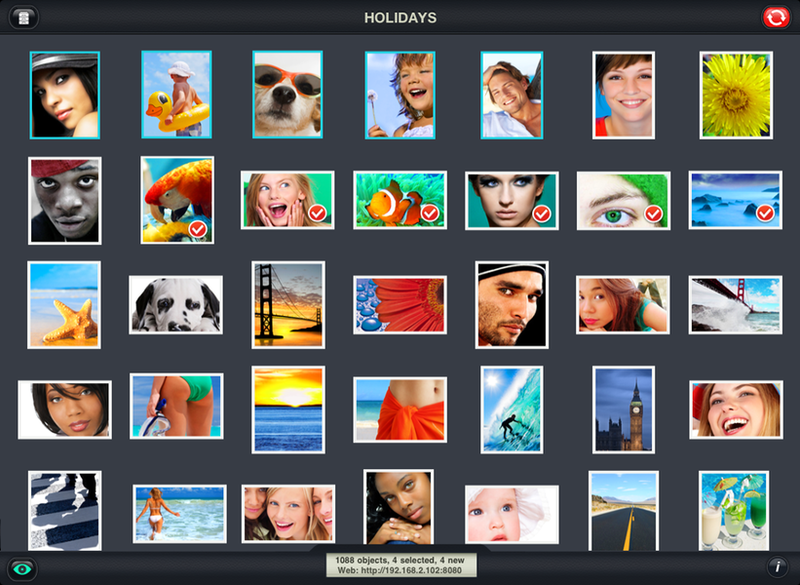 A third special app that we will be trying is called So Much 2 Say (SM2S). 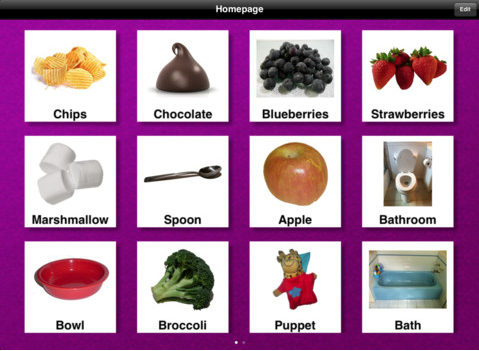 SM2S is a picture communication AAC iPad app that is designed specifically for individuals with cognitive and language impairment. With flexible page layout options ranging from a single card per page to multiple pages of categories, So Much 2 Say is well suited to adapt and grow right along side with the Learner. Intuitive configuration options and fast card creation allow for virtually anyone to quickly update and tune SM2S to best fit the needs of the Learner in multiple settings. Using the built-in camera Poe will be able to make cards of new objects on the spot. In addition, we hope to get the VR staff and Poe's work supervisor to setup a Google calendar on the iPad so they can set important dates with the built in reminder features setup. We have really just begun introducing the iPad and apps to Poe. Until she's had time to use them at work, bump into problems, and solve those problems we won't know how successful this will be. I hope to post again regarding her adventures when we have more to share. As usual, your thoughts are welcome! 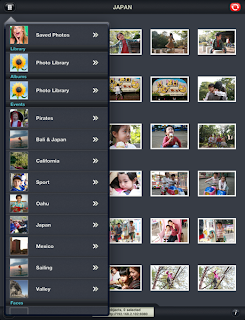 Folks often ask how to go about moving photos on or off their iDevices. One of the more elegant and simple solutions I've discovered is an app and desktop software combination called PhotoSync. The app itself retails for $1.99. 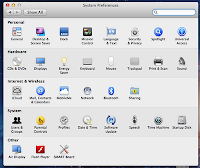 The companion software for your computer works on both Mac and PCs, and it is free. PhotoSync will transfer photos and video to and from your computer, or to web services like Dropbox, Google, and Facebook. You can also transfer from iOS device to iOS device. 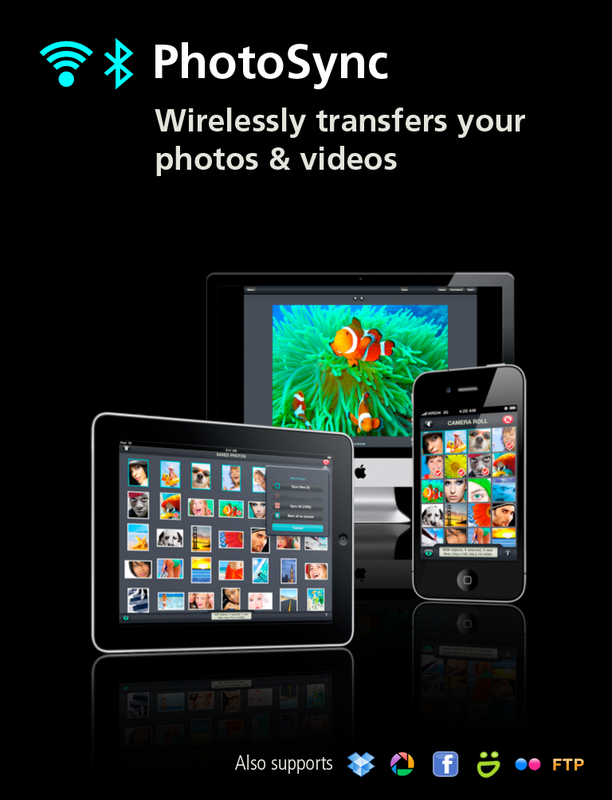 PhotoSync will work with iTouches, iPhones, or iPads. You do need iOS 4.2 or higher, and either MAC 10.5, Windows XP, or newer. Purchase the app from iTunes. Download the desktop software for free from here. Upon opening the app, if you click on the Drawer icon in the top left corner, you can see all your different folders, including the Camera Roll, Photo Library, and any other folders you've created in your pictures. Clicking on a photo places a Check mark in the lower left corner of the picture. Than click on the Red Sync button in the top right corner. And then your presented with choices about where to transfer the images. For users with multiple networks at home or work (our school for example has a Guest, an Apple, and a Windows network) make sure both your iDevice and your computer are operating on the same network, or else they won't "find" each other. I learned that the hard way! Now I have PhotoSync on my iPhone, my wife's iPhone, both of our iPads, our laptops, and the home desktop. 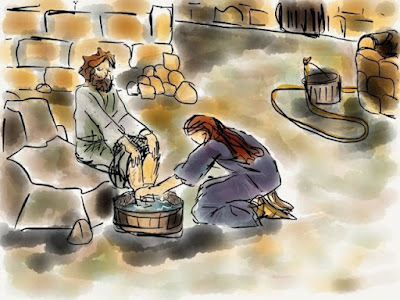 Here is a great write up by Lon Thornburg from the blog No Limits 2 Learning. I love it when we take culturally relevant activities for our students and turn them into learning opportunities. Sneaky like a Ninja! 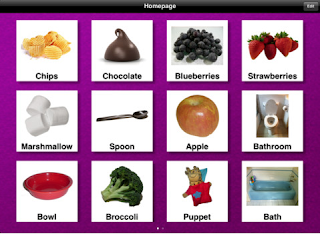 The variety of augmentative communication (aug comm) software is exploding. 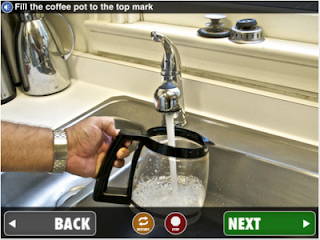 Devices have become easier to navigate for the end user, and easier for the caregiver to program. Now families and schools can pay just a few hundred dollars, or up to ten-thousand dollars and more depending on their need and budget. There is a lot of competition for developers. Some of the pioneers continue to make dedicated aug comm devices. Such devices are very powerful computers, typically running Windows. They can serve as a word processor, internet browser, and even a remote for environmental controls (thermostat, t.v., radio). With the development of iTouches and iPads, several companies have rolled out dedicated aug comm apps, which can be purchased at a fraction of the cost of the full blown computers. An iTouch with such software may sell for as little as $300. 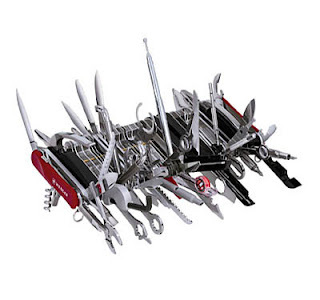 For some users, this may be all they need, though they lose the many bells and whistles that a full computer offers. One company has decided to offer something on both fronts. 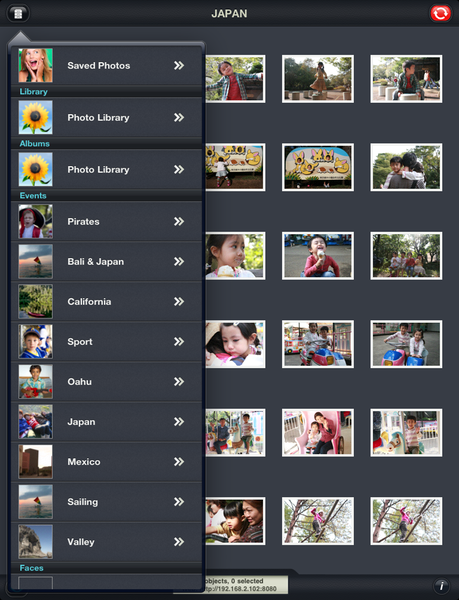 Tobii offers a "Lite" version of Sono Flex, which is their free version of the iPad Aug Comm app-ware. For $99 you can upgrade to the full version Sono Flex. What stands out about this product, is that if after a using the app on an iPad the user is ready to step up to a full aug comm computer, Tobii offers a couple different powerful aug comm computers. What's really nice about this product line, is that regardless of whether the user is on an iPad or computer, the icons are the same, and there is a lot of continuity in appearance in general. The result is that for the user who learns to use an iPad, and later transitions to the computer, the learning curve is not sharp. If you purchase a Tobii device you also receive Tobii's new augmentative and alternative communication (AAC) solutions that help individuals with speech impairments communicate. This is a software package with approximately 15 + CDs. 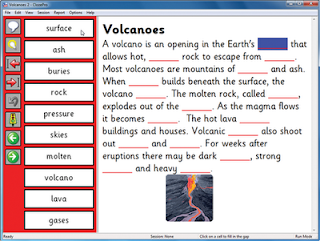 The software supports emergent to advanced communicators, and includes Literacy software options. Rather than argue about why their Aug Comm device is superior to an iPad, or argue that their iPad app is infinitely less expensive, Tobii eliminates the debate and offers multiple elegant solutions for all communicators. Tobii has thrown down the gauntlet to other developers. One of the most common requests I hear these days is "Billy needs an iPad". I am confident every person could "benefit" from an iPad or laptop, but the question I ask as an Assistive Technology Professional is "does the student need one to access his curriculum, and why?" Before we offer a solution, we need to know what the question is! When a parent or teacher says "an iPad will make Billy more independent", I don't know what Billy's school issues are. As an Assistive Technology Professional my goal is to be goal driven. So I ask questions such as: "what is it Billy is struggling to do in school?"... "What academic tasks do we want him to be able to achieve?"... and "What has been tried already?" First the problems need to be identified. Then the team can create a goal. The goal will then drive the solution. The newest, latest, greatest technology may not be the best intervention. Horrible to say I know, because I love technology! But the best intervention for Billy may be a teaching modality using traditional tools (paper and pencil). 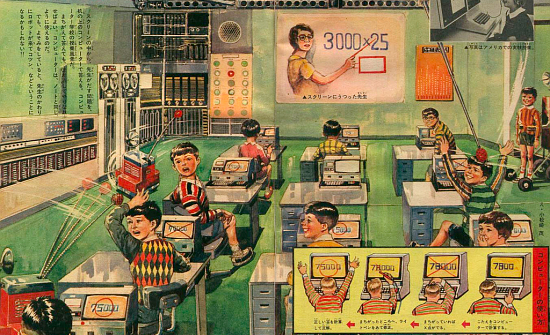 If a student can learn to write without requiring special technology, he is less restricted. For example: if Billy is dependent on a specific word prediction program to write, when he arrives at a library and the computers don't have the program he uses, he may be in trouble. 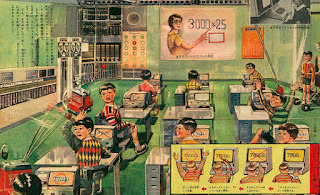 If however, if he can learn to type on a standard word processor, using strategies such as spell check or grammar check, he will more likely find computers equipped with the same or similar software. Technology can make the impossible possible, but we need to exhaust simpler solutions first. Layers of technology can become problematic. Every piece of software or hardware a student becomes dependent on can act as a solution, but the same solution can also be a layer of restriction. For example, back to the word prediction software, on the plus side: such software can help a writer generate text, with proper spelling, and reduce the amount of typing needed. However, word prediction programs often inhibit the acquisition of touch-typing skills, and are not readily available on community computers. In addition, the added cognitive task of switching back-and-forth from a word window to the writing product can slow some students down. Sometimes less is more. At the end of your student's academic career, our hope is that he progressed to the best of his ability and that he is prepared for his next adventure. An iPad may or may not have been a part of the equation. If so, hopefully this was determined through careful analysis of his academic barriers, the creation of achievable and measurable goals, and the least restrictive interventions. I work on a small Assistive Technology team in a small to mid-sized school district in North Carolina. One of the issues which we've been discussing for some time amongst our selves, and with other staff in our district is whether or not there is a significant difference between school-based Assistive Technology and community-based Assistive Technology. According to North Carolina's Department of Public Instruction (NCDPI), the mission of school-based Assistive Technology Programs is to offer consultation to local education agencies about assistive technology devices and services to support quality educational programming for exceptional children. Note the focus on education. This may be where the school-based AT Professional parts ways with an AT Professional in the community. I have only worked as a school-based Assistive Technology Professional. However, it seems reasonable that there would be no specific mandate to focus exclusively on education for the non-school-based sector. According to Washington State University, the purpose of AT is to perform functions that might otherwise be difficult or impossible for individuals with disabilities. That is a broad mandate. It still seems that best practice would include defining the "problem(s)" and generating a measurable goal(s) to track progress or lack there of. School-based AT then is specifically driven by the education model. Private or community based AT does not have such a narrow lens. Despite this difference, it seems to me that best practice is driven buy the client's needs and measurable goals. I'm curious to hear from others. Please share your thoughts with me on this topic! Today, I want to take the time to thankthe Public School Foundation for their generous funding towards thisgrant. With this funding, Jim and I hope to put one iPad loaded withthe ScribblePress app, and other apps to support literacydevelopment, in each middle and high school. Exceptional Educationteachers will be able to make use of this technology in theirclassrooms and with many different students. We have so many greateducators in this district, that it will be a real pleasure toprovide them with technology to support what they are already doingin their classrooms to target literacy. On behalf of the secondary ExceptionalEducation teachers and the Assistive Technology team, we would liketo send a huge THANK YOU to the Public School Foundation! 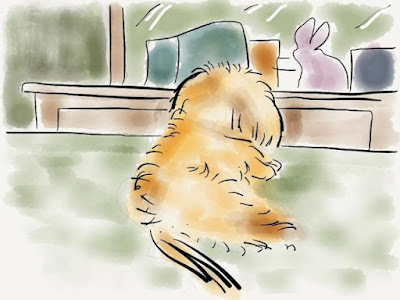 Hey folks, it's been a while since I've written, I have been recovering from an ACL surgery repair. I'm glad to report i am feeling great and I'm ready to get back to writing. 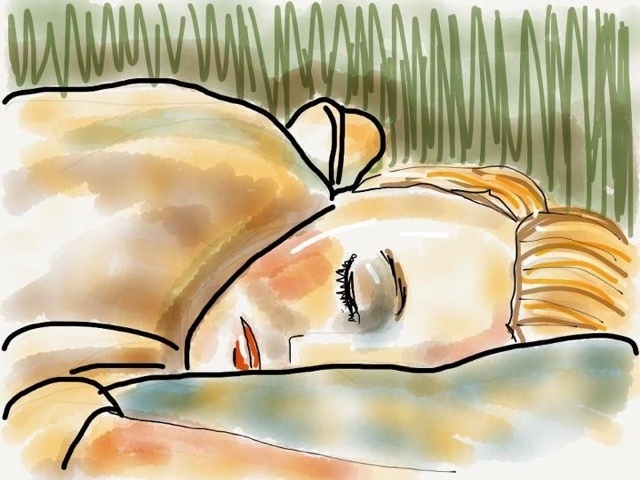 While I was recovering I stumbled upon an app called Paper by Fiftythree. This is not really an educational app, however it has become my latest favorite as an artist. The app has a beautiful appearance, starting you out with three different notebooks that you can navigate between. The first notebook is a step-by-step tutorial. The other two are blank and allow you to draw or take notes whatever your pleasure is. You can add notebooks as you need to, and customize their covers for easy identification. The drawing tools handle very nicely. The tools use a technology they call "EXPRESSIVE INK ENGINE" which "reacts to your movements to optimize each tool for the process of creation. 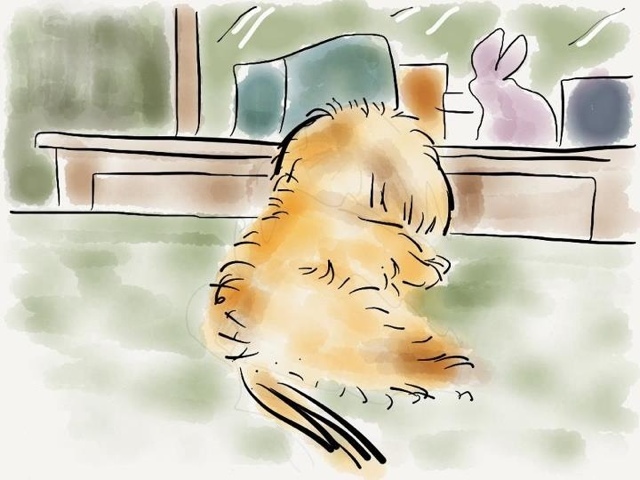 Get a range of expressions from a single tool without fussing with settings for great handwriting, beautiful coloring, and sketching that just works." what this translates to is the ability to actively effect line quality! The app is free theoretically. When you first download you get the pen and eraser. 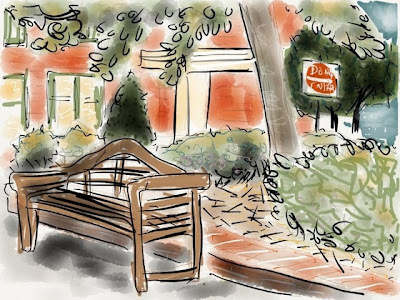 You will want to get the pencil, watercolor brush, and the two different magic markers. By the time you're done outfitting yourself you will spend approximately 8 dollars. This is well worth it, but maybe the developers should have just sold it to me straight from the start. Swiping the page from the bottom up brings up a control panel and from there you are allowed to choose between your ink pen, pencil, thin or thick marker, or watercolor brush. You also can choose an eraser, or from approximately 8 different colors. 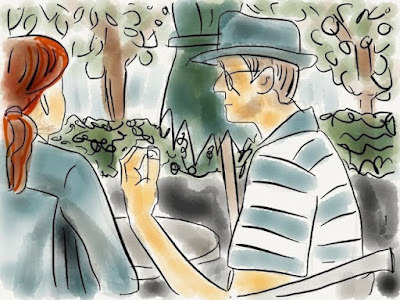 The color palette may look limited at first glance, however, much like real water-colors or magic markers you are able to blend and mix colors on the page to great effect. There are three functions I sorely wish were available in Paper. Layers, zooming in for detail, and pasting images. That being said, no other app seems to replicate the watercolor brush affects that Paper offers. This really allows for some truly unique drawing and painting experiences. With none of the mess of actually carrying water colors about with you. Wisconsin is a beautiful state. Not just the scenery, they've got some beautiful ideas as well! Ever been? Well, if not, here is a bit of Wisconsin available to anyone. Turns out they have a very progressive Department of Public Instruction (WIDPI) that early on recognized how important Assistive Technology is. The WIDPI provided leadership and funding for a statewide systems change grant project known as the Wisconsin Assistive Technology Initiative (WATI) through an IDEA discretionary grant. The primary goal of the initiative has been to assist Wisconsin school districts with building their capacity to provide assistive technology devices and services to children and youth with disabilities. Numerous resources were developed under this project. One outshoot of the project is a tremendous resource of materials which available free of charge. WATI's web-page can be found here. So many interesting resources. Be sure to spend some time visiting the page. What I want to focus on today is WATI’s compilation of Recipes for AT Success. The manual, in digital format, is organized into activity areas that are vital for creating change in the educational environment. These categories include; administrative/district level activities, teacher/adult level activities, student level activities, and other activities. Their goal for this resource is that it will assist educators, therapist, and teachers in providing appropriate AT tools and services to support instruction for students in need. 'Fess up Mac users! You've been bragging about how your computer is immune to viruses, because no one is writing them! I'm guilty too. Well, the gig is up. It's time to pay attention to viruses. Not as much as PC users, but, still, it's a change in mindset. This is a very interesting article with some great examples of how Gen Ed classrooms are using iPads. Teachers are not teaching the iPad, nor the apps, but rather their subject matter. How can we as educators and therapists do the same? Ruth Morgan at Chapel Hill Snippets shares a lot on this topic.